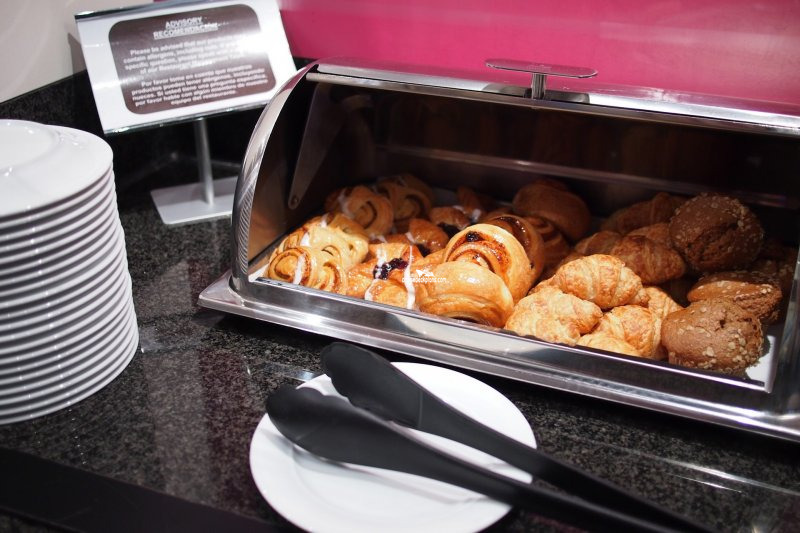 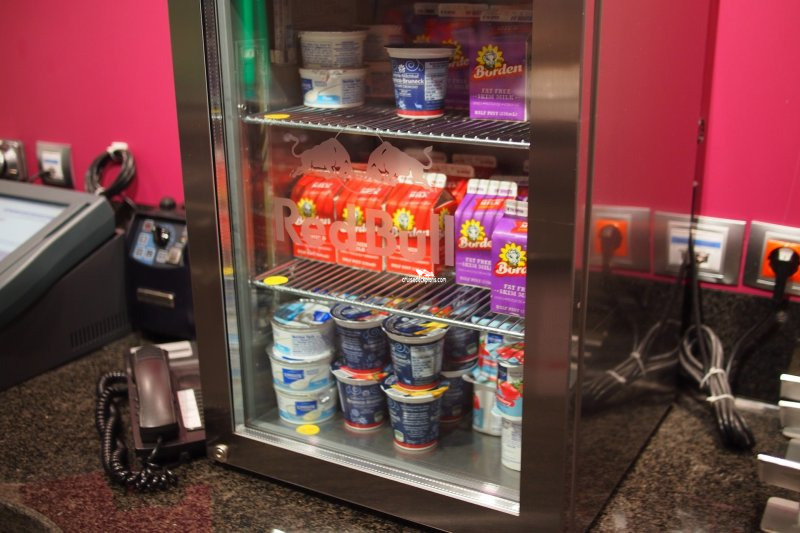 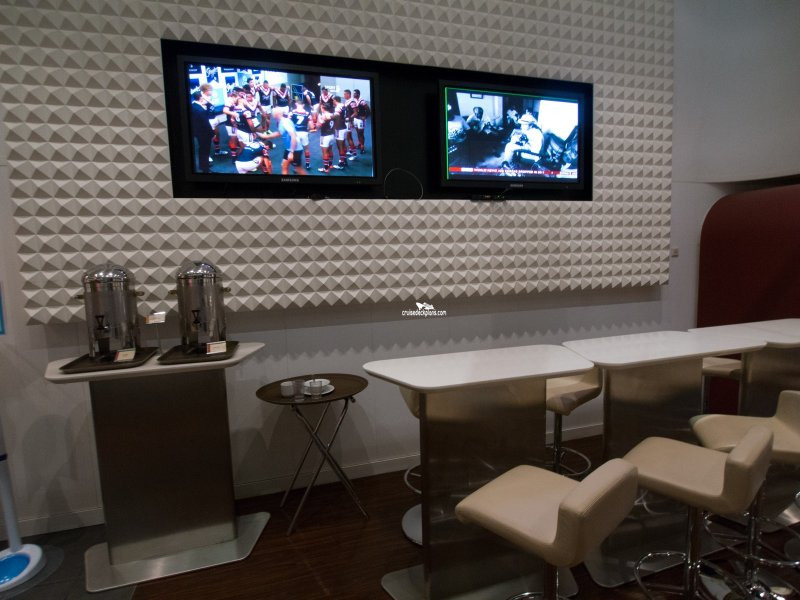 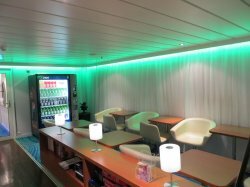 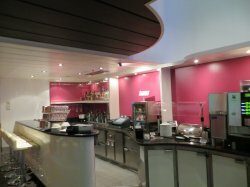 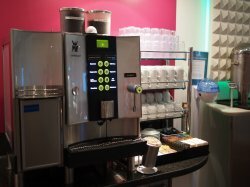 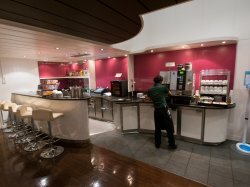 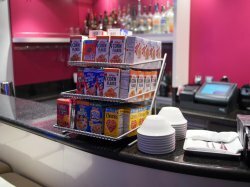 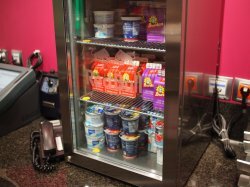 Exclusively for guests staying in the Studios and has its own vending machine, bar, coffee machine serving complimentary cappuccinos and espressos as well as regular coffee and snacks such as sandwiches along with a selection of magazines, games, cards and TV screen for guests entertainment. 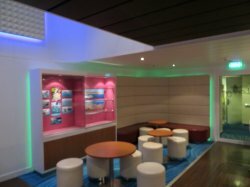 The lounge has seating for 73 guests. 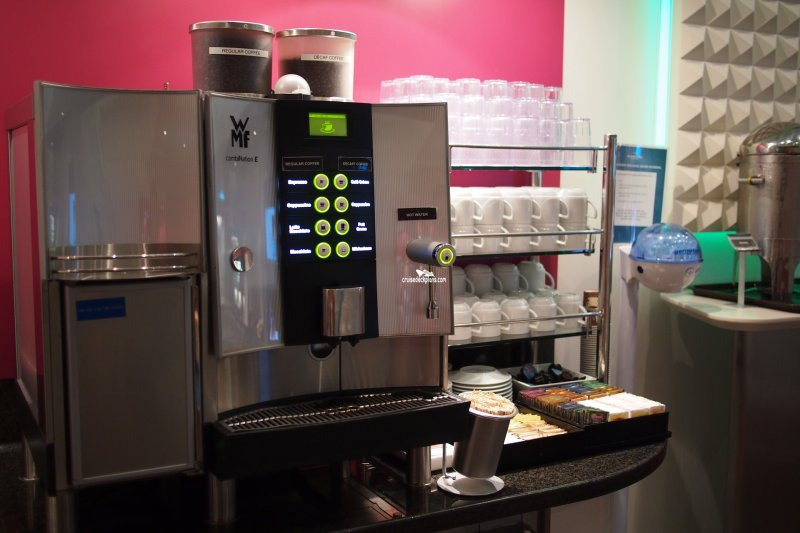 Exclusively for guests staying in the Studios and has its own vending machine, bar, coffee machine serving complimentary cappuccinos and espressos as well as regular coffee and snacks such as sandwiches along with a selection of magazines, games, cards and TV screen for guests entertainment. 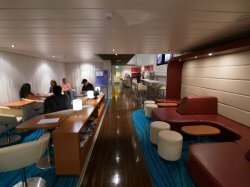 The lounge has seating for 73 guests. 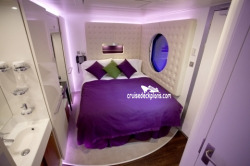 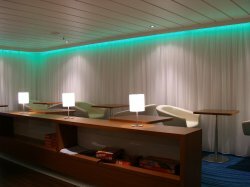 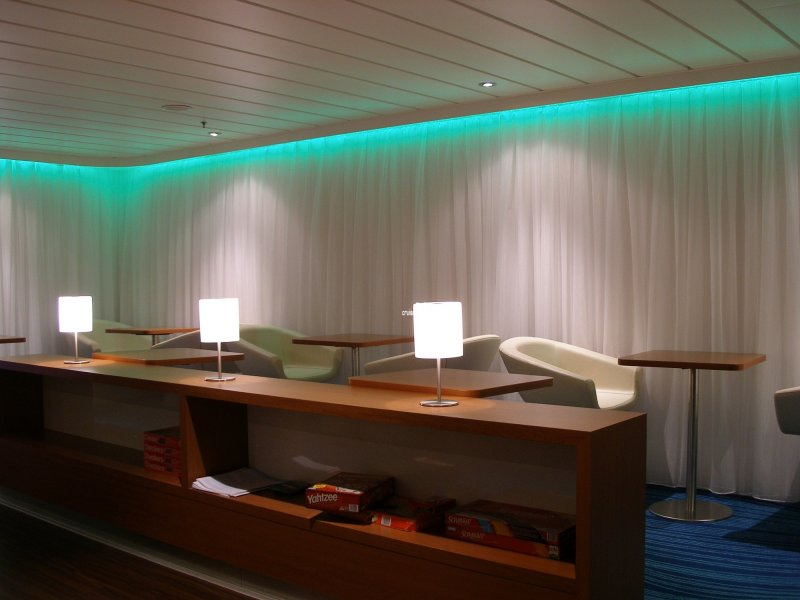 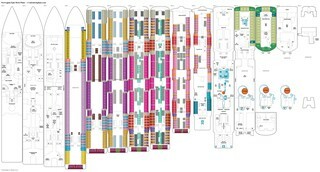 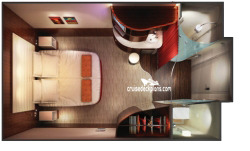 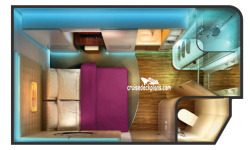 * Balcony cabins 11000 to 11016 on the port side and 11001 to 11017 on the starboard side are in hull style balconies. 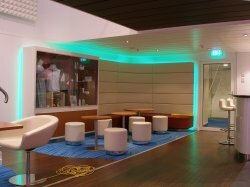 This means that instead of a see through glass railing, the balcony has a metal railing which will restrict the view when sitting down on the balcony. 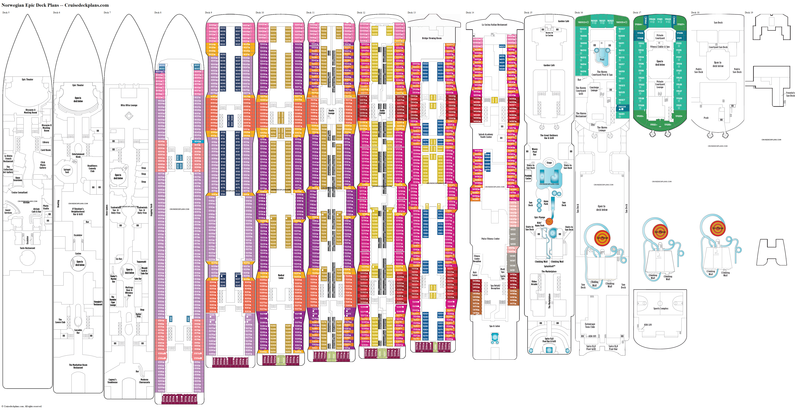 * Except for cabins 11040 and forward on the port side and 11039 and forward on the starboard side plus cabins 11276 to aft on the port side and 11275 to aft on the starboard side, most cabins on the port side and starboard side of the ship will look down on the top of the lifeboats which extend out from the deck 7 below. * Studio cabins 11564 and 11565 are next to entrance door to studios, and there has been complaints of noise from that door opening and closing. * The balconies of cabins 11000, 11001, 11004, 11005 are shaded by the overhang of the bridge two decks above.